The trick to remembering the difference between gram positive and gram negative bacteria is to first understand where their naming convention comes from. I have an article follow by a mini game to teach you the difference between gram positive and gram negative bacteria. 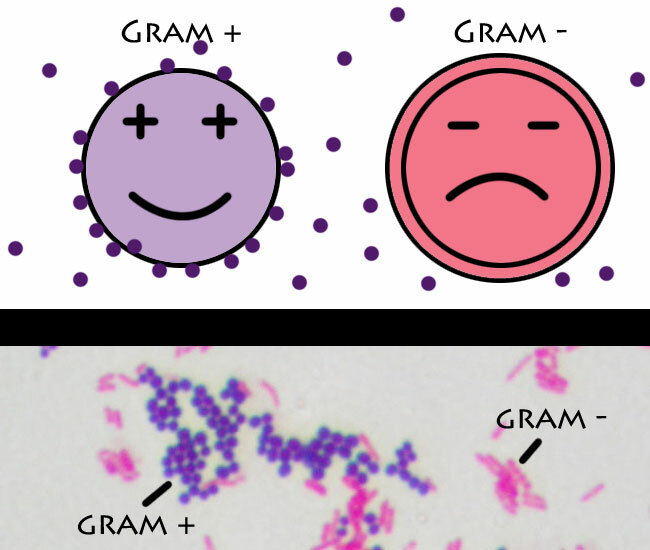 Gram positive bacteria are “positively” stained purple/blue when chemicals of the gram staining process bind to them. Gram negative bacteria on the other hand respond “negatively” to the gram staining treatment. So they have a barrier preventing the gram staining procedure from turning it blueish purple. To understand gram staining you must be familiar with the structure of the bacteria they are used on. Gram positive bacteria have a single thick cell wall made of peptidoglycan (50-90% of cell wall). This thick wall stains purple and remains purple throughout the gram staining test. Gram negative bacteria have a thinner layer of peptidoglycan (10% of cell wall), and an additional outer membrane which contains lipids. The outer membrane of gram negative bacteria will stain purple also but it falls off during the gram stain test. Its 2nd wall is what gets stained pink. We stain it pink so we have a color contrast to look at. Now that you know the structure of most gram positive and gram negative bacteria, we can talk about the gram staining procedure. Gram staining is a 4 step process that is supposed to group most bacteria into 2 categories based on their outer membrane. Read the 4 steps and play the mini-game below to learn about gram staining. Yes a video game! Applying a primary stain (crystal violet). Crystal violet binds to both gram negative and gram positive bacteria. The addition of a trapping agent(Gram’s iodine). The trapping agent binds to crystal violet and traps it in the cell wall of gram(-) and gram(+) bacteria. Decolorization with alcohol reacts with the lipids of the outer membrane. In gram(-) bacteria the purple dye and its outer membrane is washed off. In gram(+) bacteria the thick peptidoglycan layer protects the dye from being washed off. Remeber gram (+) has 50-90% peptidoglycan cell wall compared to only 10% in gram(-) bacteria. Counterstaining with safranin. 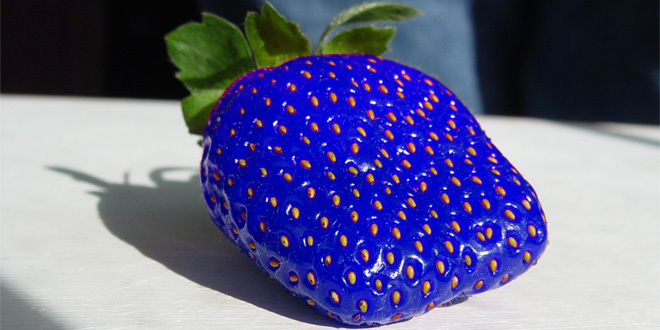 Safarin is chosen because it will bind to the gram(-) bacteria that did not hold on to the crystal violet dye. This gives a color contrast to look at under the microscope. I thought this was a fun way to refresh my memory about the reagents used in this method before my Microbiology class begins in the fall. I will be checking out more of this website in hopes of finding things with similar quality.